When I hired on in the geology department at Kennecott in 1974, my boss was a geologist named Wilbur Smith. Wilbur had a keen interest in history. He felt the need to document the history of Bingham. He kept files of information collected from various sources with the hope that after he retired he would be able to write such a history. He was an avid photographer, and as the town of Bingham was torn down, on his way home from work he would stop his car and photograph the progress of the demolition, the pictures from which he kept in a scrapbook entitled something like "The Death, Destruction, and Burial of Bingham." He also had a fine collection of early photographs of Bingham, some he bought from antique dealers, some were given to him for use in the history he was to write. Wilbur was in a unique position. He was born in Tooele, Utah, where his father was a manager at the International Smelter. After graduation from the University of Utah in geology, he worked for Combined Metals Refining Company in Butterfield Canyon driving nearly 100 miles a day from his home at Tooele around the north end of the Oquirrh Mountains to the mine. Later he worked at the U.S. and Lark Mine, and then about 1960 he found work with Kennecott Copper Corporation at the Utah Copper open pit mine. His experience gave him the interest and ability to write and illustrate a detailed history of the Bingham district. When he retired in 1977 he worked at it, but complications from diabetes prevented much progress. When he died in 1988 his sister-in-law fortunately donated his photograph collection and papers to the University of Utah Library. . Among Wilbur's papers is a similar attempt made by T.P. 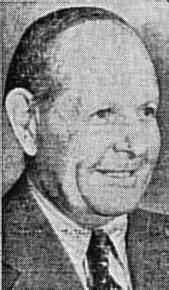 Billings in the early 1950s. Billings' father was a soldier at Fort Douglas in the early 1860s when the original mineral discovery was made. Billings was attempting to give a mining history of the Bingham district, and more especially to preserve important mining and geological information which only he knew. What you will see is a working document that is still somewhat disorganized, repeats itself in places, and stops suddenly, rather than ends. After he retired he no longer had immediate access to various maps and documents, so he wrote his descriptions of the various mine workings leaving blanks where the maps could be looked at and measured so that the numbers or other details could be filled in later. This never happened, but that does little to diminish the value of Billings' history, since few readers need that level of detail. If Wilbur had not obtained a photocopy of the manuscript, a great amount of information would have been lost. Hickman descendants will be disappointed that there is no mention of the Hickman family in Billings' history. But by now it should be obvious that the Hickmans were not big winners at Bingham, and though histories like to tell the stories of gambles that succeed against impossible odds, there's little interest in those that didn't. To read an article that was probably the inspiration for Billings' history, click here. To read Billings' history, click here. Press Ctrl f to perform a search. To see the obituary for Thomas P. Billings, click here. To see the register of the Wilbur Smith Papers, click here. To see the register of the Wilbur Smith Photograph Collection, click here. Joshua Clayton, an early mining engineer at Bingham, whose papers are at Yale University; click here. Daniel C. Jackling, a founder of Utah Copper Company, whose papers are at Stanford University; click here. If you would like to return to the Hickman Family index page, click here.